Here's exactly how many times Chris Pine broke into song on "Saturday Night Live"
Chris Pine is by far the best of the Chrises. He’s charming, funny, handsome and, boy, can he sing! Want to know how we know he can sing? Well, last night while he was hosting Saturday Night Live, he sang in pretty much every sketch he took on. Now he’s far from the first hot actor to take the stage and surprise us. Even when Ryan Gosling (who is generally in comedic movies) came on, people were a little surprised at how well he did. But then Chris Pine showed us his comedic timing with a very strange promo with Kate McKinnon and we all knew that this episode of Saturday Night Live was one we didn’t want to miss. Chris Pine is the SNL host of everyone’s dreams and these are just some of the brilliant sketches featured last night! For this who don’t know who Chris Pine is, no worries! He explained it to everyone in a song about the Chrises set to “Uptown Girl.” It even touched on the fact that Chris Pine and Chris Evans are both playing characters named Steve in superhero movies. And this was just the beginning! 2 Where in the World is Kellyanne Conway? If you grew up in the ’90s, there was a show called Where in the World is Carmen Sandiego? It was incredible and the fact that Saturday Night Live brought it back for this Kellyanne Conway sketch was perfect. And what’s not to love about a crooning Chris Pine? If you don’t have feels for Chris Pine as Roger in Rent after this one, something might be wrong with you. There’s so much pain in the USA, so much pain in the world today and Chris is asking us why! Truly a strange digital short but an incredible one that will get stuck in your head for days. Brandy and Monica made an anthem for girls fighting over the same guy. And Saturday Night Live applied that to Chris Pine. As they should because doesn’t everyone feel this way when someone else says they love Chris Pine too? Straight men talking about RuPaul’s Drag Race is, again, something we didn’t know we all needed but is perfect. This sketch even has a lip-sync for your life but Chris definitely had some serious sashay in him. Now here’s the thing: You kind of have to see Sunday in the Park with George to really find this one funny. It is very niche but also a perfect sketch. And, since he sings, we’re still in no matter what. Overall, this episode was both musical and hilarious. 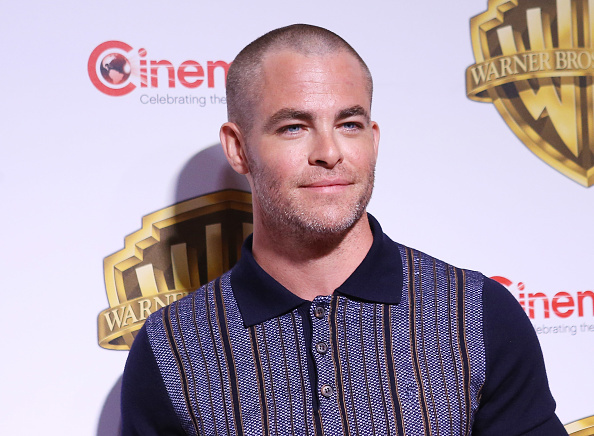 So, Chris Pine for the five time host’s club by 2022, right?